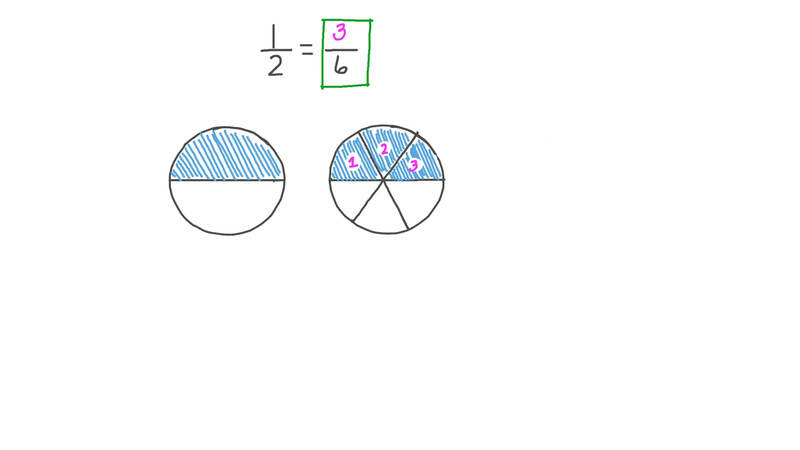 In this lesson, we will learn how to find equivalent fractions by creating fraction models. Use the shown figure to complete the following: 1 2 = ⋯ 6 . Which of these is equal to 1 3 ? 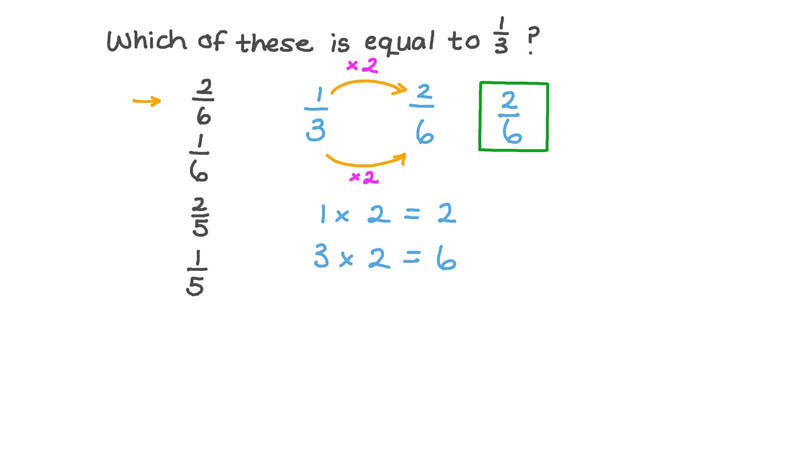 Which of these is equal to 1 2 ? Which of these is equal to 2 9 ? Which of these is equal to 2 8 ? Use the shown figure to complete the following: 1 2 = ⋯ 4 . Use the shown figure to complete the following: 2 3 = ⋯ 9 . Use the shown figure to complete the following: 2 5 = ⋯ 1 0 . Use the shown figure to complete the following: 2 3 = ⋯ 6 .